Squatters love them, banks turn their noses at them, residents and city officials are frustrated by them. A chain of mold infested, vacant homes in Shorecrest that are owned by banks and mortgage companies are being neglected and left unmaintained, enraging community activists and neighbors who think the vacant properties are destroying the neighborhood’s market value and inviting squatters and criminal activity. In what President of Shorecrest Homeowners Association and Chairperson of Shorecrest Crimewatch Group Jennifer Ocana called a neighborhood initiative, residents are trying to get the banks, who own many of the vacant properties, to take responsibility and maintain the lawns, clean the pools and make sure the structures are safe. Neighbors and community activist’s have emailed complaints to the Upper Eastside’s Neighborhood Enhancement office in order to get the city’s Code Enforcement involved to cite violations. Some of them have also sent letters and called the banks directly to voice their concerns. On July 16, a neighborhood cleanup was held by the Shorecrest Homeowners Association, the NET office and the City of Miami Police Department, along with volunteers and local residents, in an effort to beatify the area. It was this year’s second cleanup drive. People mowed lawns, picked up dead palm tree limbs and threw out piles of garbage from six vacant properties in Shorecrest. “The goal is to clean-up six-seven homes during each event, to simply make our community beautiful again and the issue at hand lies toward the banks who are not coming out to address these issues,” Ocana said. District 2 Commissioner Marc Sarnoff, who volunteered at the cleanup, said the banks are neglecting to maintain the properties in order to avoid paying the expenses. 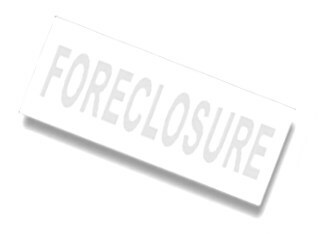 “You’re seeing a number of banks start the foreclosure process, but they don’t complete it, to avoid paying the taxes, and not pay certain elements which would be required, if they finished the process,” Commissioner Sarnoff said. Another problem with unattented properties is that they can diminish the property values of the surrounding homes, according to Upper Eastside Realtor Ines Hegedus-Garcia. Shorecrest runs east of Biscayne Boulevard from 78th Street up to 87th Street. It holds approximately 1,500 houses, 13 which are known to be vacant and have been cleaned up by HOA members and neighbors, Ocana said. Multiple attempts were made to reach each of the property owners, but none replied to Open Media’s request for comment. NET Administrator Berta Davis said that the vacant properties need to be registered annually with the city for a $262.50 fee until sold. If homeowners don’t pay the amount they would be breaking city code. City of Miami Code Enforcement can impose the owners of these properties up to $ 250.00 a day for a first time violation; repeated violations makes it $500 per day and liens can be placed on the properties. If the fines are not paid, the next step is to appear in court for a hearing, at which point the city can seize the property. When Shorecrest neighbor Keith Meinhold opens his front door, the view offers at least three vacant homes around him. He said the property right next to his has been vacant for seven years. “I’ve been calling twenty-two times in the last two years, but no one has showed up to secure or attend to it,” Meinhold said. “It invites crime into our neighborhood because the property has so many unsecured windows, I’ve found condoms, needles and squatters living in it. Two other properties, on 8450 NE Bayshore Dr. and on 1110 NE 84th St, are also in bad condition. The latter had its cabana fall apart and pool torn down because it was infested. Spokesperson for Chase Property Preservation’s Nancy Norris said Chase holds the loans on the houses, but the properties are still in the foreclosure process. Norris added Chase had no idea the houses were unattended and said they’ll send someone to asses their state in order to address the problems. “It is, however, in the best interest of the bank to keep the property from deteriorating in order to have it ready for sale,” Norris said. Still, some residents don’t think the banks are doing enough to maintain the properties. “Banks don’t attend to them, and we are just trying to clean up the image of our neighborhood,” said Shorecrest resident George Azpiri.